The National Chairman of the Peoples Democratic Party, PDP, Adamu Mu’azu, has defended his leadership of the party despite the PDP’s recent loss at the polls, saying he did his best to save President Goodluck Jonathan from defeat. 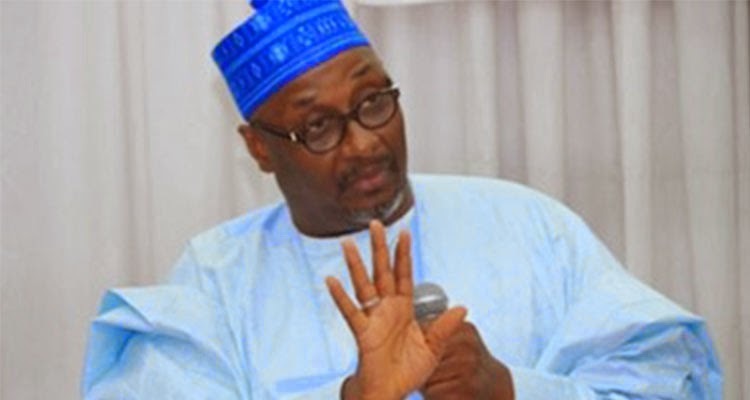 Mr. Mu’azu broke his silence as the ruling party faces a crisis that follows the disastrous election outing, with many senior members of the party blaming him for the loss, and demanding his resignation. Writing on his Twitter handle Tuesday, Mr. Mu’azu said those accusing him of not doing his best for Mr. Jonathan were “economical with the truth”. He said he had remained in the PDP since 1999 “as a matter of principle and strong ideology”. “I gave my best and all to the campaign of Mr. President and the party. We went to every state in Nigeria to campaign. “In the face of abuse, insult and open ridicule by our friends and brothers we supported our leader President Jonathan faithfully,” Mr. Mu’azu, a former governor of Bauchi State, said. The PDP spokesperson, Olisa Metuh, had on Monday said the leadership of the party was sidelined during the campaigns for Mr. Jonathan, while overzealous members preached hate and helped raise the popularity of Muhammadu Buhari, the eventual winner of the presidential polls. There were reports during the electioneering campaigns that Mr. Mu’azu threatened to resign as Chairman if the PDP campaign continued with its hate speech against Mr. Buhari and the north. Tweeting Tuesday, Mr. Mu’azu said “the perception of President Jonathan and our party in the north was at an all-time low because of the lies they were told by politicians”. “Those who blame us for not delivering maximum votes to the president in the north seem to have forgotten that it’s the people who vote,” he said. Mr. Mu’azu said if the opportunity presents itself again, he would support Mr. Jonathan, adding however that, “I have always preached against ethnicity and tribalism and the voting pattern in the election was a concern to me personally. “If I had my way, everyone in my state ‘Bauchi’ would have voted for President Jonathan but it’s the people that vote not me. “The unity of Nigeria to me is greater than sectional or ethnic interests. I can never regret supporting our leader President Jonathan,” he said. The PDP Chairman said if the party is to be reformed, solution to its problems should be found. He said those pointing accusing fingers at the leadership of the party are not helping it.